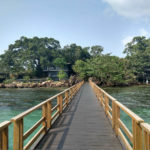 This is going to be a quick review, given that we arrived at the hotel after 3AM, and were departing the hotel at 8AM to drive to Mashpi Lodge, so we were literally only here for a few hours. My hotel loyalty lies primarily with Marriott/Starwood and Hyatt. 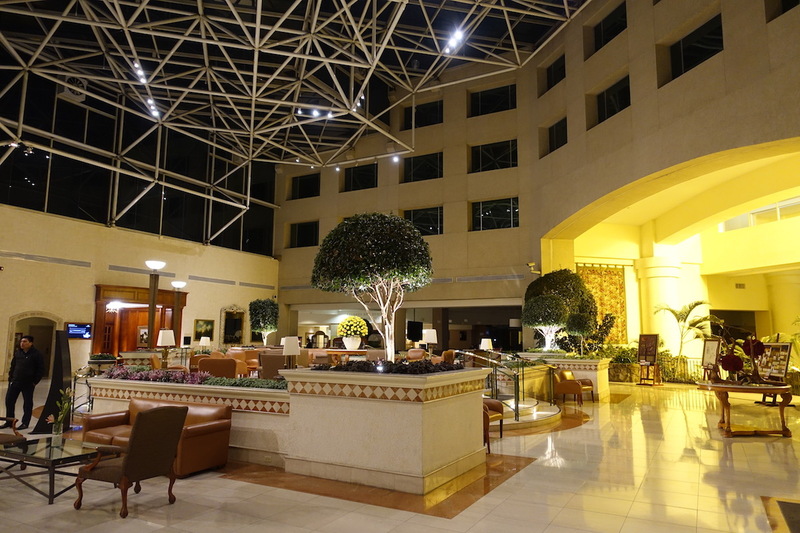 Quito has both a Sheraton and JW Marriott, and we booked the JW Marriott since Mashpi Lodge’s transfer picks up at the JW Marriott but not at the Sheraton. 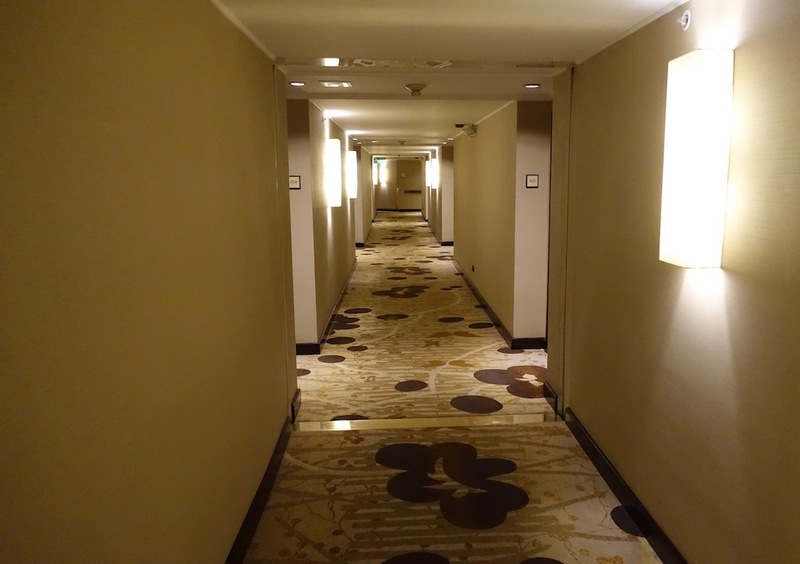 I’ve heard some say that the Sheraton has a better location for exploring the city, for those who are staying longer. For booking the hotel we had two options — we could pay cash, which would have cost $222 (a $180 base rate plus taxes and fees), or we could redeem 22,500 points. In this case we decided to redeem points. 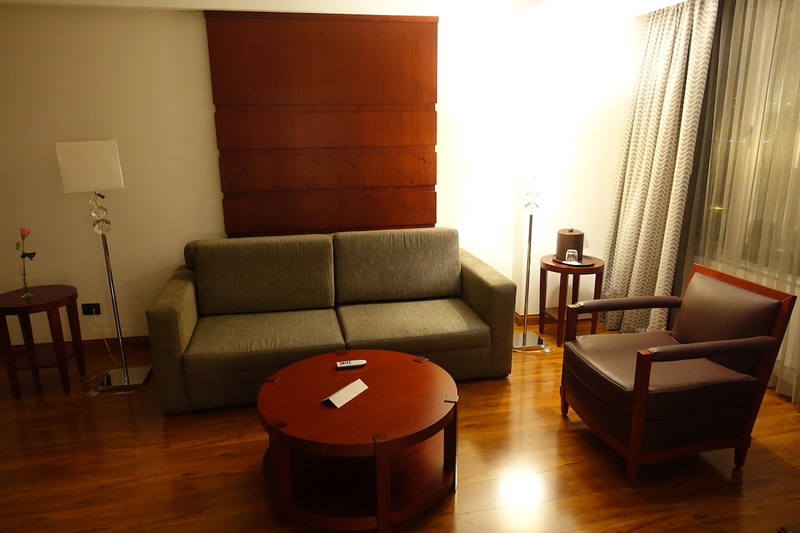 Quito Airport is quite a ways from the city, so I emailed the hotel in advance to arrange a transfer. They arranged a car for me through an outside company for the rate of 50USD. While that might seem high for Ecuador, that’s the going price as far as I can tell. I appreciated the hotel’s responsiveness by email, and also that the company handling the car service was still waiting for me in spite of the four hour delay. In the middle of the night the drive to the hotel took about 40 minutes. The JW Marriott has a nice lobby with high ceilings. There’s a lobby bar, though everything was closed in the middle of the night, as you’d expect. The check-in process was friendly yet efficient. The agent explained all the basics about the hotel, while also realizing that it was 3:30AM and that we wanted to sleep. 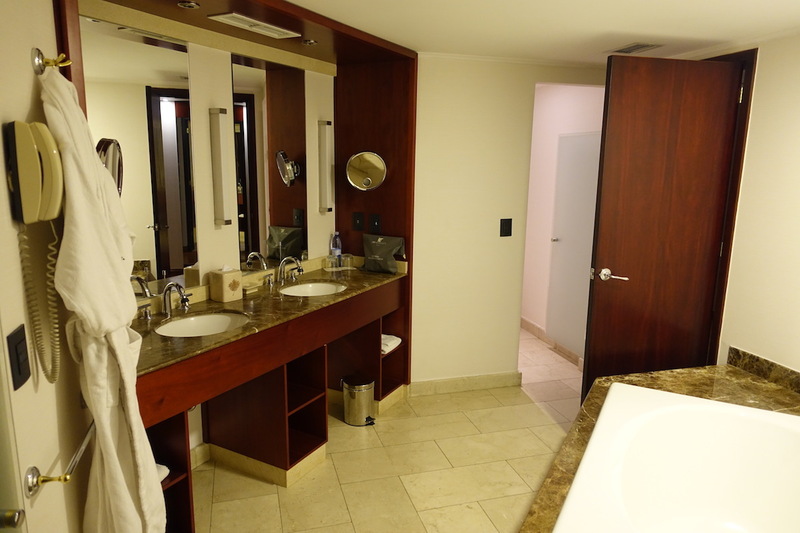 I had used a Platinum Suite Night Award to confirm an upgrade (not because I actually cared what room we got, but because it would be expiring at the end of the year anyway, so I figured I might as well). So we were quickly given keys to our room on the sixth floor, #633. The suite was large. I can’t say it was the most stylish or modern suite, but I liked the hardwood floors and thought the decor at least felt fairly fresh. There was an entryway with the entrance to the bathroom to the right, and then the living room straight ahead. The living room was large, and had a sofa, chair, and a desk with a rolling chair. 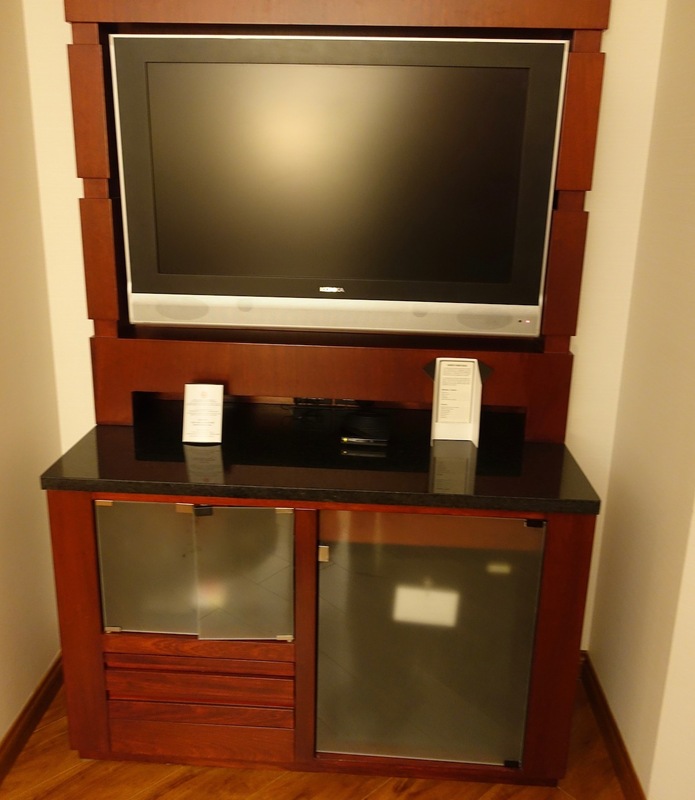 Then near the entrance was a wall-mounted TV, as well as the minibar. There was a sliding door separating the living room from the bedroom. There was another TV along the wall, as well as a luggage rack. While the bed was fairly comfortable, I didn’t love the pillows. I don’t like the small rectangular pillows, and then the big pillows were too square for my liking. 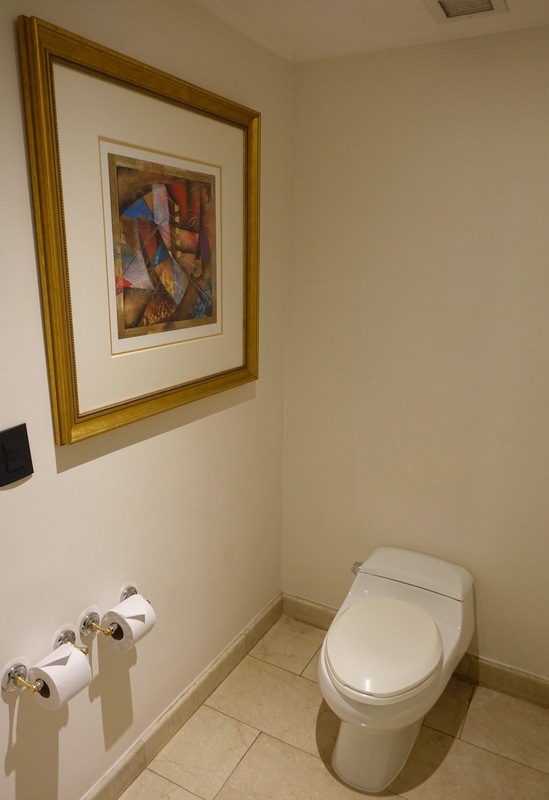 The bathroom was a good size, and could be accessed either from near the entrance, or from the bedroom. 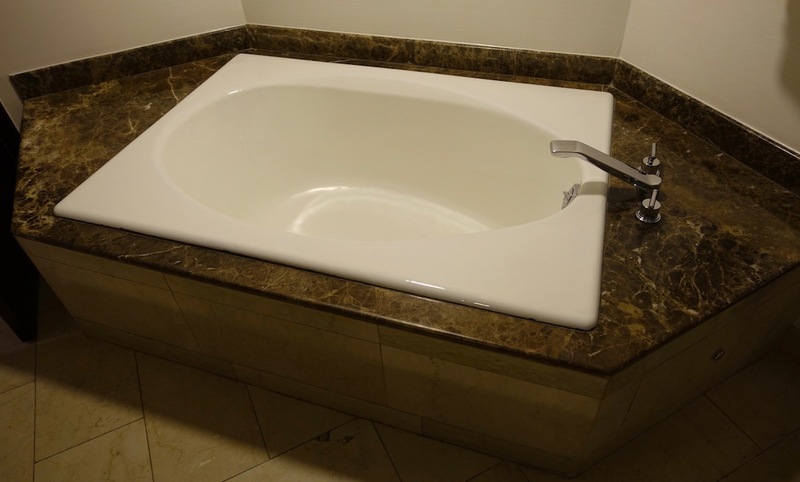 It featured double sinks and a tub. 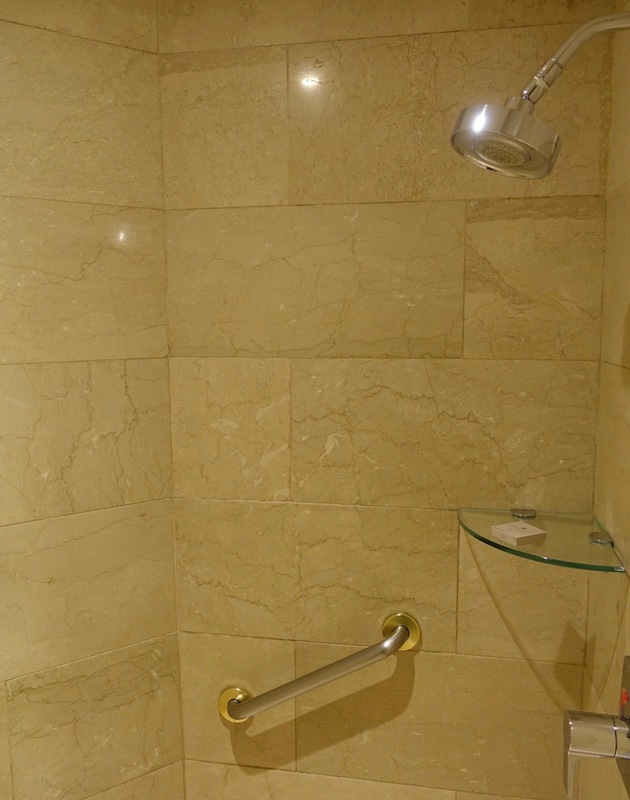 Then there was a walk-in shower, as well as a toilet in a separate room. We got just under three hours of sleep (I woke up at 6:30AM, as I wanted to get some work done before our five hour drive), and in the morning there were some views of the city from our room. 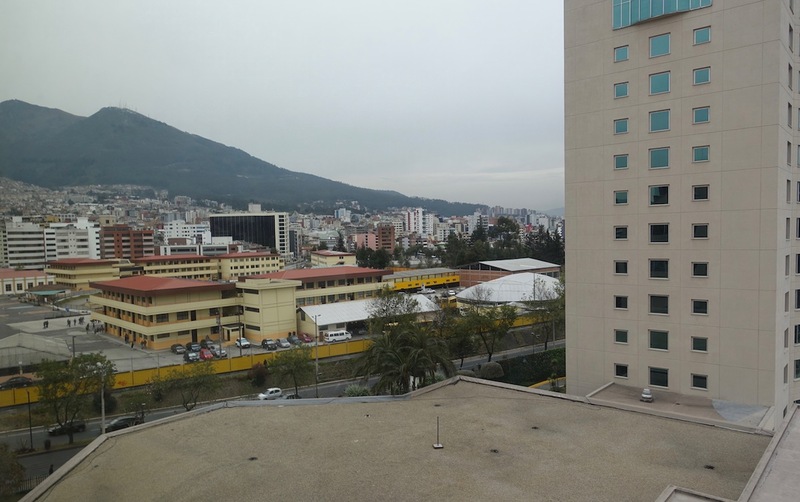 While Quito in general is a picturesque city, I don’t think our view really captured that. 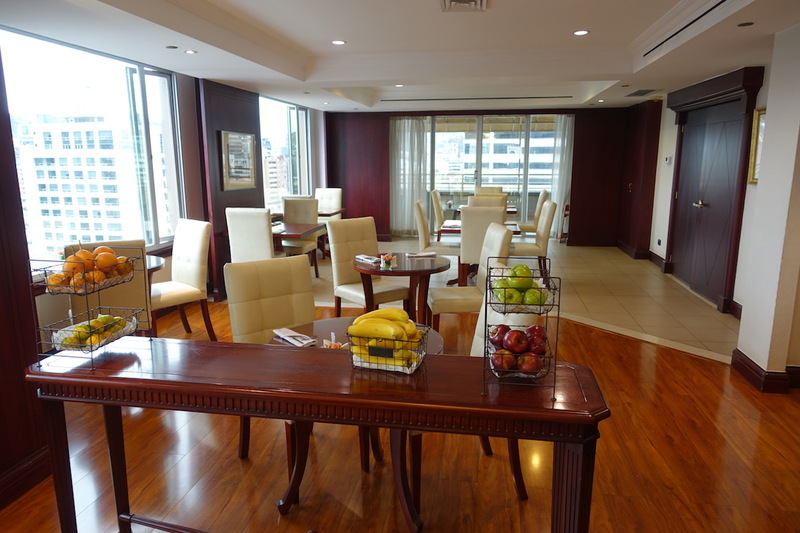 Anyway, in the morning we checked out the club lounge, located on the ninth floor. We had access to this on account of my status. 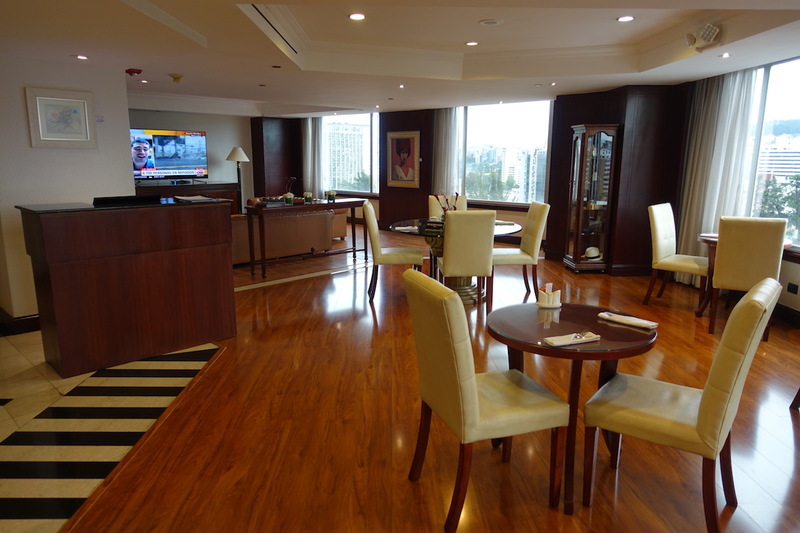 The JW Marriott Quito club lounge is open from 6AM until 10AM for breakfast, from 5:30PM until 7:30PM for evening drinks and snacks, from 8PM until 10PM for drinks, and then there are snacks and soft drinks available all day. The lounge was a reasonably nice space. On one end of the lounge was a couch with a TV, and then most of the rest of the lounge consisted of dining tables. The lounge even had a nice outdoor seating area. 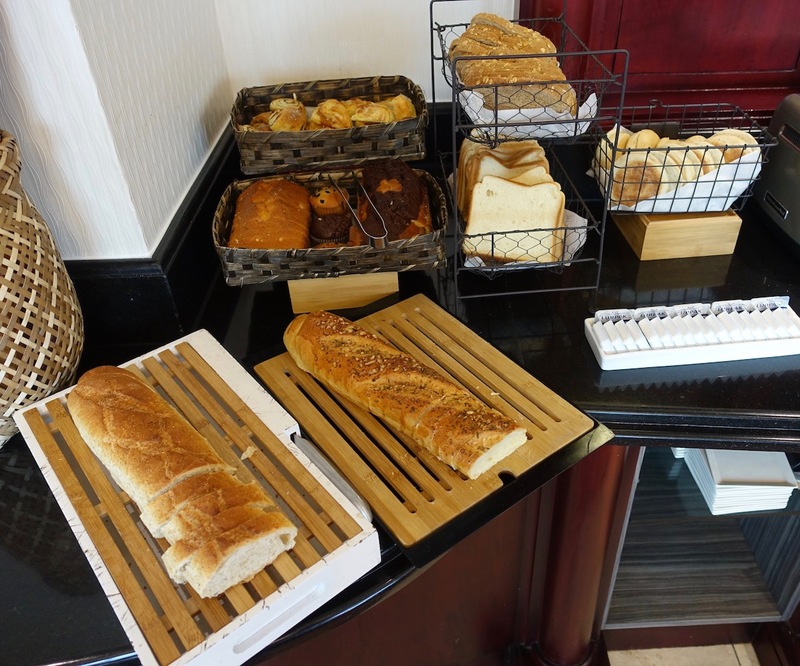 The breakfast selection was solid for a club lounge, and featured bread, pastries, yogurt, fruit, cereal, cold cuts, bacon, sausage, scrambled eggs, and an omelet station. Then there were also self serve drinks, including water, soft drinks, coffee, and espresso beverages. Service in the club lounge was extremely attentive. I was asked for my room number when I arrived, and a minute later the attendant returned and thanked me for being a Platinum Premier member, which was a nice touch. After getting a bit of work done we showered and got ready for the day, as we were picked up outside the JW Marriott at 8AM sharp. 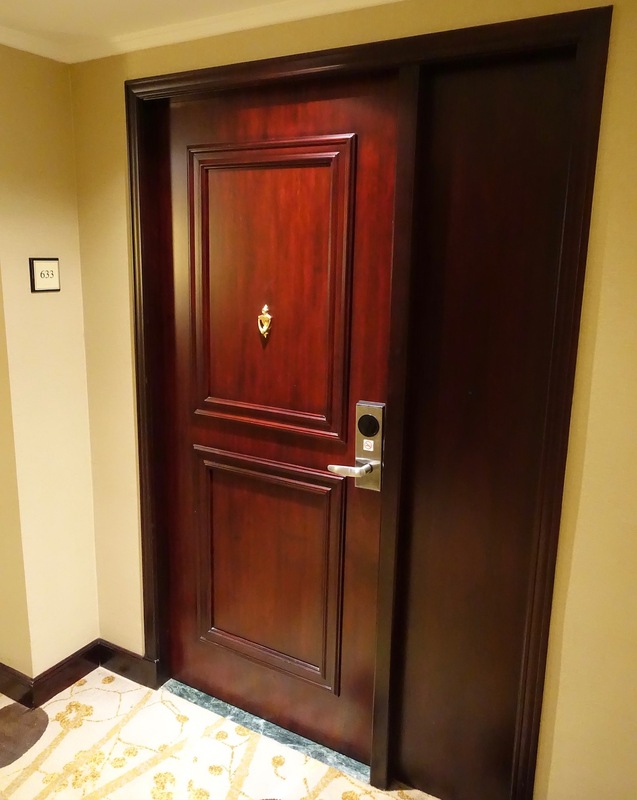 Admittedly we spent fewer than five hours at the JW Marriott, so I can hardly provide a full review of the property. 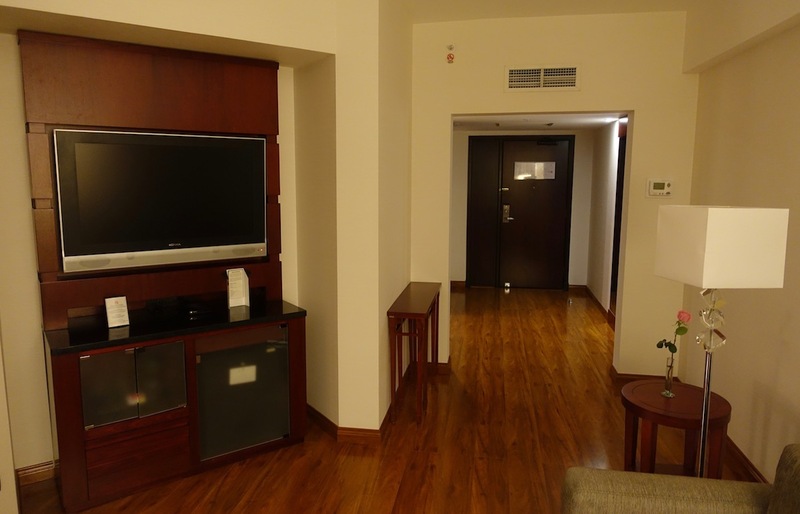 However, based on our brief time at the hotel we were impressed — the staff were friendly, the suite large, and the club lounge pretty good as well. Like I said at the beginning, I’ve heard the Sheraton has a better location for sightseeing, if that’s something that matters, though I can’t personally vouch for that. I’d gladly recommend the JW Marriott based on my short stay. Could A Strike Cancel Kenya Airways’ Inaugural US Flight? 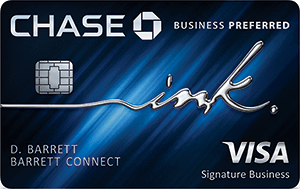 What Credit Card To Use For Marriott/SPG Stays? 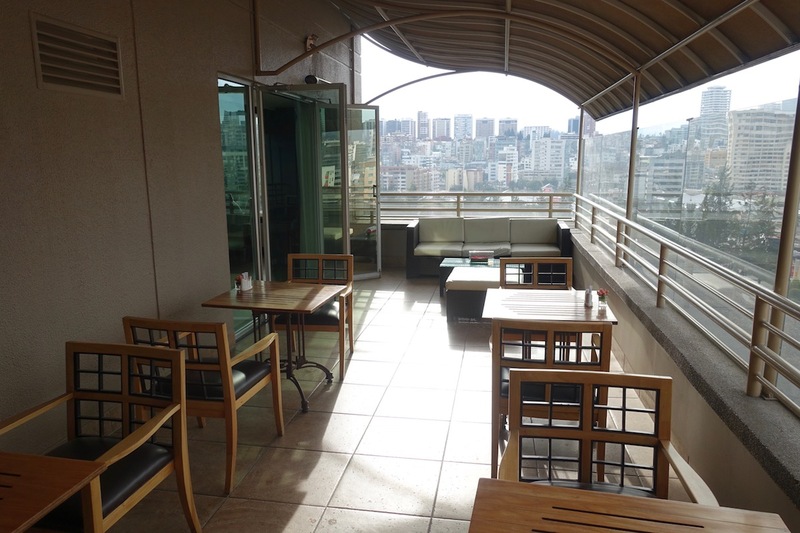 I have stayed at this hotel many times, I believe the hotel now is about 15+ years old and since day 1 it has always been the best hotel in Quito, the restaurants have good food, bar is service is always attentive, I don’t believe there is any other hotel in Quito that can give you better service. We stayed for 3 nights in May. Loved the hotel and staff, especially attention and food at the lounge. I do have a bone to pick with this hotel, although it’s more of a big complaint with the way the Marriott program worked. I had (still have) a category 5 (old 5) free night certificate for UP TO 25k points. 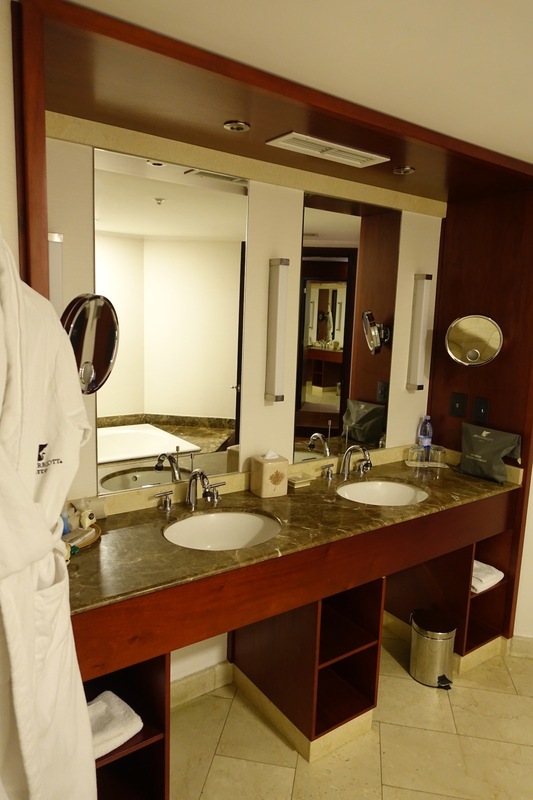 The hotel was selling rooms as a promotion for months as a reduced 20,000 points. Not only would the system not allow me to use it there, but 3 different Marriott reps on 3 different calls confirmed that since the hotel was selling rooms at the category 4 level, I couldn’t use a category 5. No amount of calling Marriott, asking or pointing out how absurd this policy was let me use the free night. Contacting the hotel directly and asking didn’t work either. Other than that our stay was great. I do caution parents with small children that the windows do open, and they’re big enough for a small child to fit through, so during our stay we never let our 3 year-old more than 2 feet away from us. 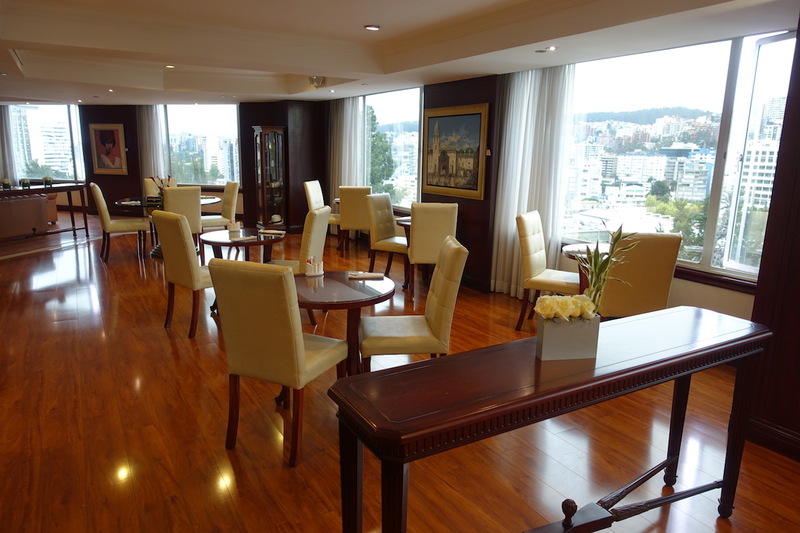 It’s too bad that you didn’t have more time to spend in Quito; Casa Gangotena is likely the best city hotel in South America. I highly recommend spending a night or two there if you end up returning to go to the Galapagos! $50 was the going rate to transfer? Uber is like $25. I guess it depends on which form of transfer transportation you want. Thumbs up with @Max C.
I have been impressed by JW Marriott properties in Peru. I guess the rule extends to the rest of S. America? FYI (and anyone who reads this) the taxi rate from Quito Airport (UIO) to the city center is $25 and Quito also now has uber which is even cheaper, sometimes <$20. Same going from the city to the airport. You guys had to be dead tired when you finally arrived at the hotel. Thanks so much for taking the time to take photos before you hopefully crashed and slept. Memories of back in 2015 when we got mugged outside this hotel on Avenida Amazonas. Enjoyed out 5 nights at this hotel immensely in 2014. 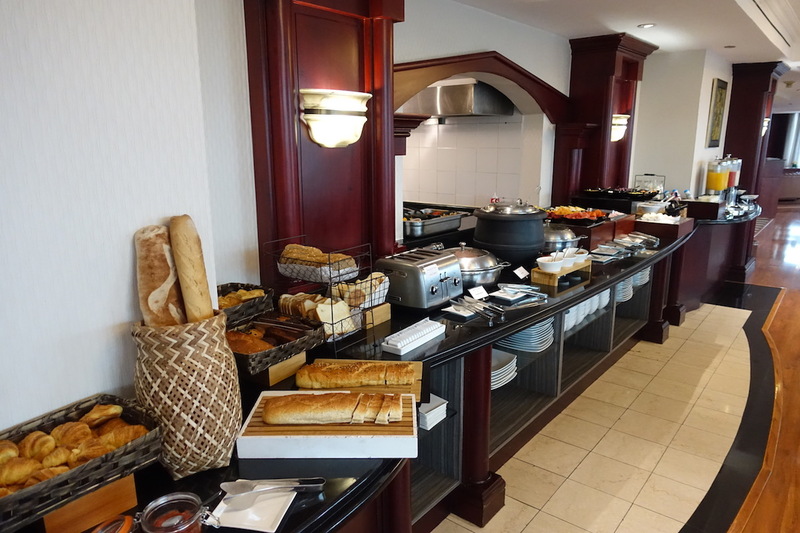 The club lounge was excellent with great food. We ended up eating all our meals here. While the hotel was a little out of the way, there is a handicraft market which is within walking distance and has lots of interesting stuff. We went around by taxis which was easily available and cheaper if you were to just walk outside the hotel. I echo @Max. Casa Gangotena is an amazing hotel and is by far the best in Quito. Not only for service (they often bring me a late night snack unprompted when arriving on the lat American flight) but the location and property itself is gorgeous. I also stay at the Marriott and while it’s fine it hardly captures the vibrancy of the city and it’s history. @Mike- yeah, I can’t believe he took the time to take the room pictures at 3:30 AM. I would have stumbled into bed the minute I got into the room. Same with the lounge- I would have gotten up 20 minutes before I had to leave, 10 minutes to get ready and grabbed a croissant in the lounge and run out thw door. Great work ethic. We hired two airport cabs to the hotel and was $25 each. On the way back we hired a hotel van and it was I believe $60 (chargeable to the room). 1) The decor is ugly. Seriously. It looks like 1999-2000 ish bland suburban hotel decor. Marriott has tried making J.W. 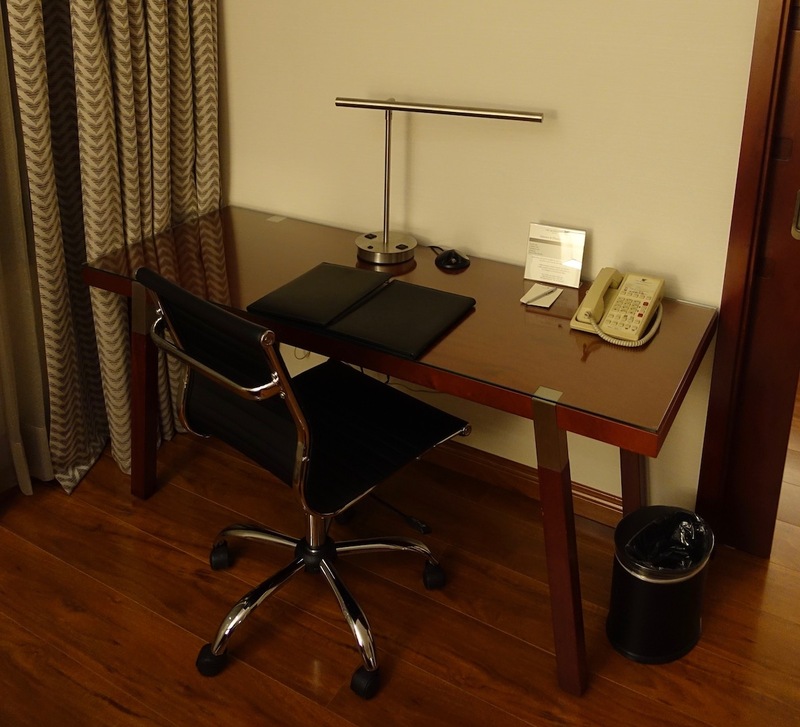 Marriott a faux luxury brand but nothing about the decor says luxury, fux or real to me. The bathroom fixtures are cheap. 2) What’s with the Coke in the executive lounge? Marriott serves Pepsi. I don’t see any Diet Pepsi. God, reading about your schedule makes my skin crawl. I function so poorly when I’m tired that I would have probably just been pissed off for the next day or two. Getting up and checking out the lounge? lol forget about it. While it looks nice it just feels meh. 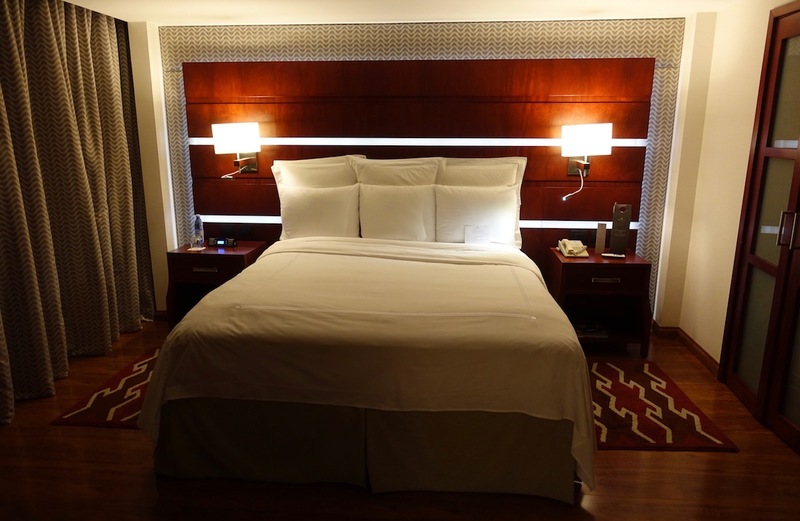 There are many amazing cheap boutique hotels in Quito which worth a visit. 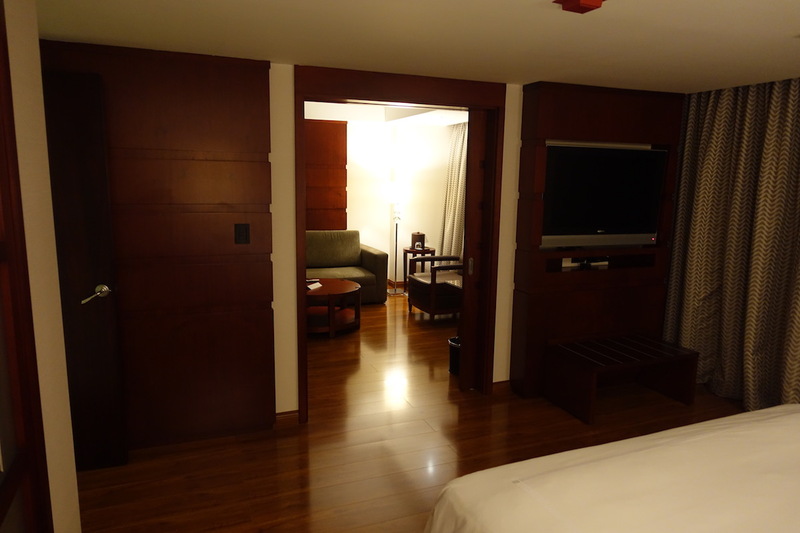 I stayed at the JW Quito two years ago during a trip to the Galapagos. 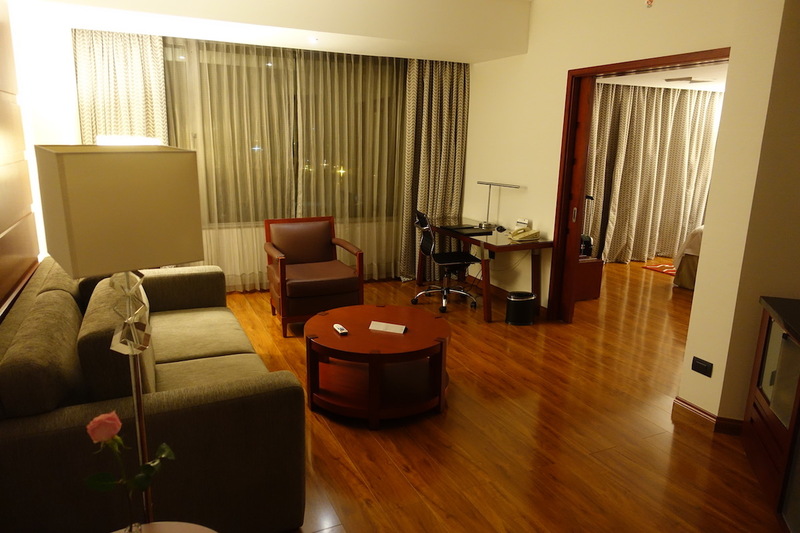 This was the hotel that Silver Seas had their guests stay in prior to the flight to Guayaquil. We were there during the President of China’s state visit to Equador. The President was staying at the Hilton but the Chinese Premier was at our hotel. The bus driver that drove us to from the Airport to the hotel from made it clear to us that the extra security was only there for the Chinese officials and not a regular necessity in Equador. We had to go through a metal detector manned by plain closed local security people. Outside surrounding the hotel were police special forces and anti-drug police.